In such a divided society, finding common ground can feel like an impossible task. But the Aspen Institute is trying to fix that by working across the globe, bringing together people from different backgrounds, experiences, and points of view, to work together and find solutions to our world's most complex challenges. Join hosts Marci Krivonen and Zach St. Louis as they travel through the Institute's halls and learn from people doing this work to make the world a better place. A tide of threats against the ocean is rising, but pioneering ocean scientist and advocate Dr. Sylvia Earle, co-chair of the Aspen High Seas Initiative, has a solution. 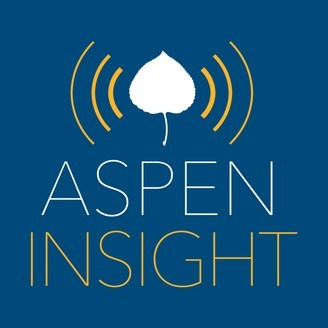 On this episode of Aspen Insight, we hear from Dr. Earle about her life charting the depths of the oceans, and we also learn the ways we all can better sustain them, and finally, we speak with Aspen High Seas Initiative Executive Director Michael Conathan on how the Initiative is working to protect these most vulnerable parts of the world. Show Notes Find out more about the work of the Aspen High Seas Initiative. 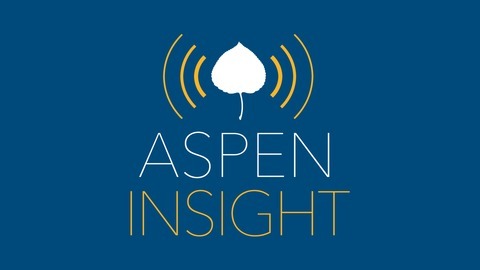 Follow Aspen Insight on Facebook and Twitter using #AspenInsight.